Have you ever moved to a new house, gone to plug in your dryer, and CRAP! the plug doesn’t fit? Most houses come with either a 3-prong or 4-prong outlet for your dryer. If you purchased a new dryer chances are the dryer didn’t come with a power cord at all, and when you move houses you have a 50/50 chance that the current plug will work with whatever outlet your house comes with. So what are you supposed to do? Call an electrician for a pretty penny just to hook up a new power cord for you? It is one of the easiest DIYs out there. 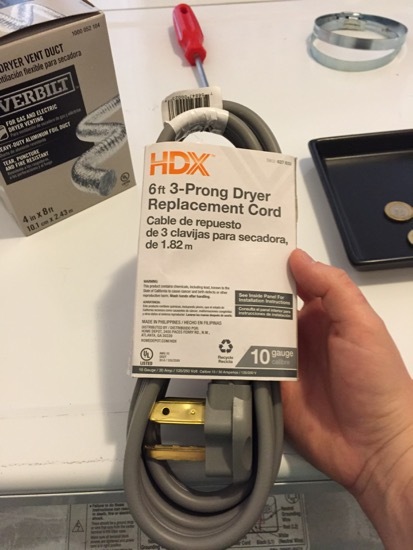 There is no reason you need to waste your hard earned cash when you can easily swap out the dryer plug yourself. 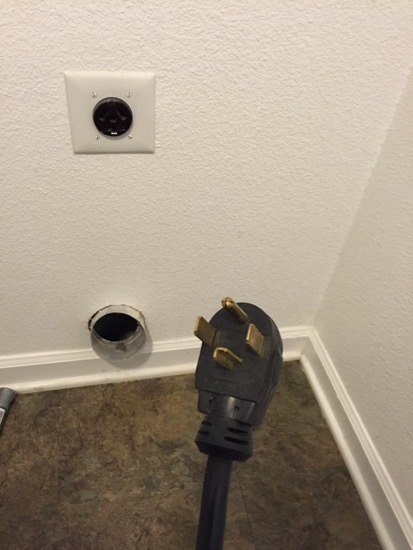 Our new house has a dryer outlet for a 3-prong plug. Our last two houses have had 4-prong outlets, so our dryer has a 4-prong outlet on it. Honestly, the most annoying thing about this entire situation is not even having to swap out the cord; it’s when you go to plug in your dryer and you need to use the dryer RIGHT NOW and you discover your plug doesn’t fit. Argh! Trip to the hardware store! If you plan ahead you can always order a 3-prong plug or 4-prong plug on Amazon. Otherwise, any hardware store should carry these replacement cords. I obviously purchased the 3-prong cord to match the 3-prong outlet in the wall. And now, to swap them out… My dryer has a diagram on the back of it showing exactly how to attach the cord to your dryer. Seriously can’t get much easier than this. First, locate where your cord attaches to the back of your dryer. You can see that the 4-prong cord currently attached to the dryer has 4 wires attached to the back of the dryer. Carefully remove all the small screws and remove the cord from the dryer. Again, CAREFULLY. You will need these screws again and it is very easy to accidentally drop them down the back of your dryer into the abyss, never to be recovered again. 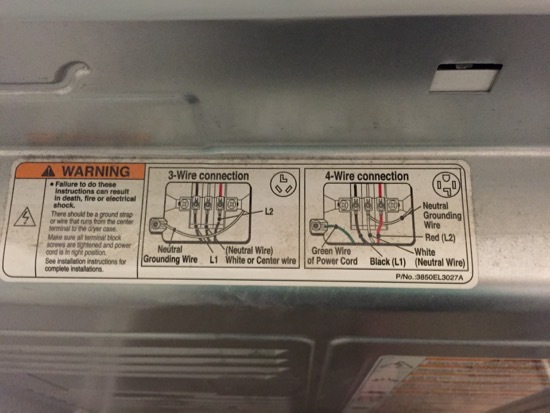 Following the diagram on the back of the dryer, attach the new cord to the dryer. 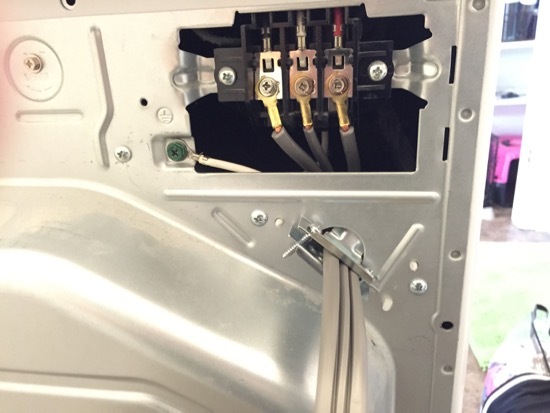 The only difference between a 3-prong and a 4-prong is that the 4-prong has a white (ground) wire that attaches to the back of the dryer and the 3-prong does not. Both types of cord have an L1, L2, and a neutral. Once you screw your new cord into your dryer, plug ‘er into the wall, step back, and marvel that you totally rocked this all by yourself. It will be an empowering moment, so take a minute if you need one. Now get back to work. The laundry is piling up. It doesn’t just wash itself (well, it kinda does, but you have to load it in there). 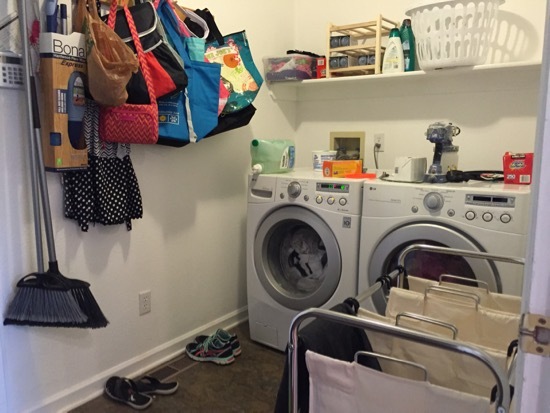 Here’s my very messy, very newly unpacked laundry room. We’ve done exactly ZERO projects in this room since moving in 4 weeks ago, but I’m sure you will cut me some slack. We did just move in after all. I wish folding laundry were as quick and easy as swapping out the dryer cord. Now go DIY something! And come back and tell me what you DIYd. I love hearing stories from YOU also. 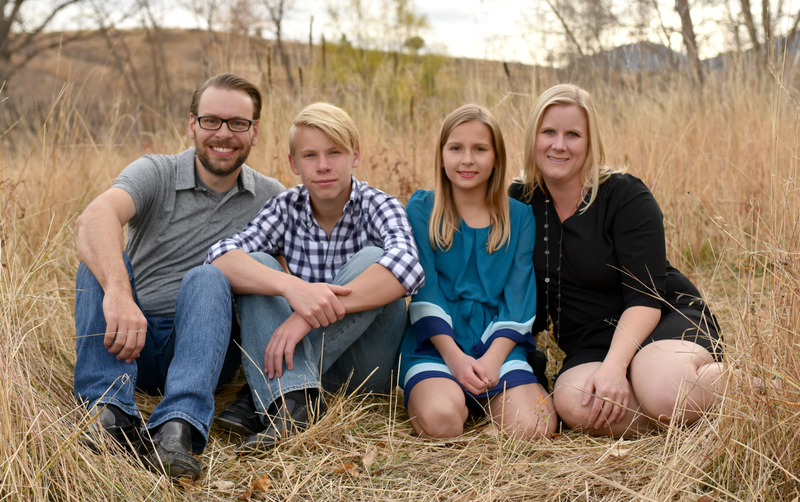 Did you know I’m on Facebook and Instagram? Come hang out with me! this is such good information to have! I would never thought this was an easy DIY. We actually just replaced our electric hot water heater ourselves! We thought it was going to be really hard, but the guy at Home Depot told us exactly how to do it. And with these plumbing connectors called shark bites–you don’t even have to worry about glueing or soldering pipes. You just cut the pipe and it squeezes together and is sealed! The heater was only $350 and the shark bites and a few other things we needed were another $50. I wish we changed it years ago! It would have saved so much money on our electric bill. We were also finally able to fix a leak in our kitchen sink with the shark bite piece. We thought we were going to have to hire a plumber. 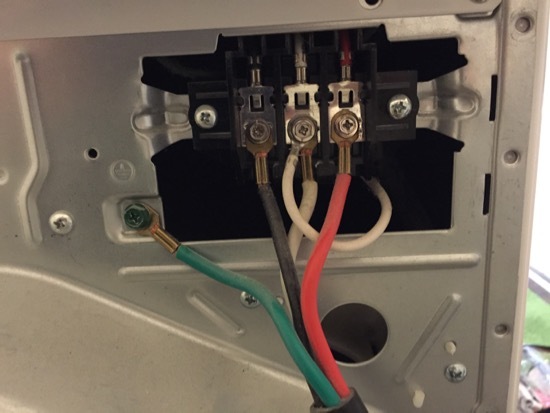 And when the water inlet value broke on our Kenmore Elite washer, and the washer filled up with water, and the door burst open and flooded the laundry room, we fixed that as well, using a video from the Kenmore site. Like Susan, we used Shark Bites (which I found out about on this site – thank you!) to make replacing our water heater a snap. However, I did call the plumber when a pipe broke under our house. No WAY I am crawling under there with all the spiders! 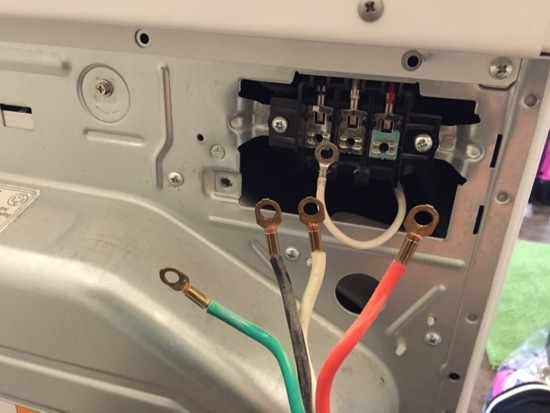 Something I noticed on another site and in the photos above: the neutral grounding wire (on the dryer) should be attache to the dryer case if installing a 3-wire cord but it should be attached to the neutral (middle) terminal if installing a 4-wire cord.